If there is a lesson to be learned from any war it must be that no side is entirely right and no side is entirely wrong. Michael Shaara succeeds in making this abundantly clear in his novel about the battle of Gettysburg. 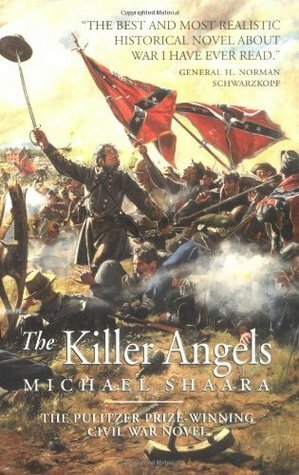 Although this work is a fictional account, I believe Shaara captures the essence of the conflict, the passions that led to its ultimate tragedy and the fundamental truths that have, for too long, been buried beneath an avalanche of preferred myth. Above all, Shaara makes painfully human all that has become legend, giving every character in this American tragedy a voice, a cry for understanding. The Killer Angels is one of the few books that I have no hesitation in recommending. This novel is superb history and emotive fiction. Sign into Goodreads to see if any of your friends have read The Killer Angels.